When the International Club of Myrtle Beach opened its course in 2000 in Myrtle Beach, South Carolina, it truly delighted those who love the game of golf. In addition it quickly earned a reputation as one of the area’s most enjoyable, challenging, and dynamic 18 hole courses. The International Club’s golf course was designed by golf course architect, Willard Byrd. Byrd designed many of the famous courses in the Myrtle Beach area. Through his design the course was given five sets of tees. As a result, the yardage for the par 72 course ranges from a fun 4,838 yards to 6,857 yards – enough to test even the best golfer’s skills. 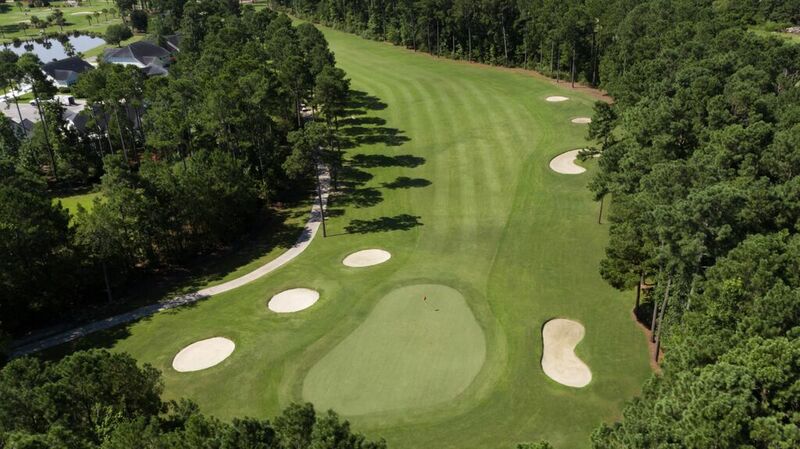 The International Club has been praised and recognized as some of the best golf in myrtle beach by some of the top golfing sources and individual players alike. In fact, the International Club has received the prestigious 4 Star rating from Golf Digest for being one of the Best Places to Play. As soon as any golfer – whether novice or expert – enters onto the grounds of the golf course, the beauty and unique layout of the course becomes evident. Pines, oaks, and native grasses are scattered throughout the course – sometimes lining the fairways and sometimes protecting the greens. Lakes and ponds are pristine, but also encourage an accurate shot. Sparkling white bunkers create an aesthetically pleasing contrast to the well-maintained greens and rolling fairways. The International Club is also known for having some of the fastest greens on the Grand Strand…just waiting for a 3 putt! With newly installed Sunday Bermuda putting surfaces, this fact will continue to ring true. Besides being a great course, the International Club is also located in a convenient spot. Whether you are staying central/north/south, you will find this course very convenient to your lodging.